Most students interested in the pre-med and pre-dental programs major in either biology or chemistry, but it’s not required. Pre-medicine and pre-dentistry students take courses in biology, chemistry, physics, mathematics, and English. Pre-medicine students also cover such areas as sociology and psychology. For certain students, a three-year curriculum is possible, as well. Admission to medical or dental school requires completion of courses in biology, chemistry, physics, mathematics, and English. 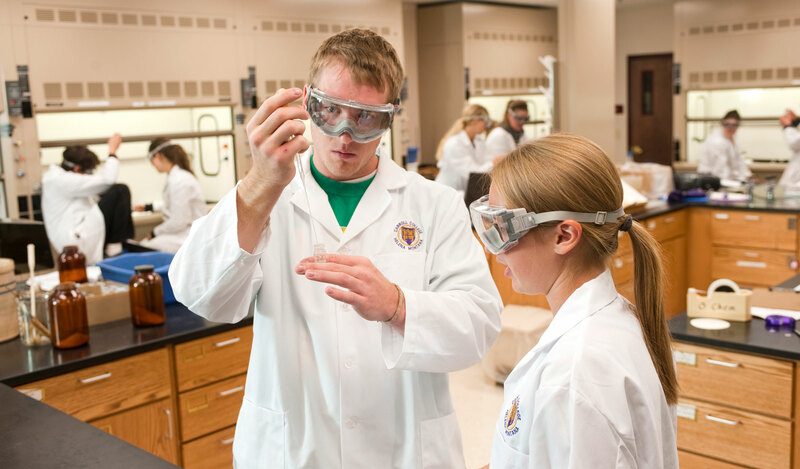 While most premedical students graduate from Carroll College with a degree in biology, the choice of a major field of study is left open to the student. Students are encouraged to consult with the pre-medical advisor or pre-dental advisor for other coursework that may be of value and for a description of experiences that are important to have prior to applying to these professional programs. Three years or four years? Successful completion of the first 3 years of course work in the major program. Fulfillment of all Carroll College Core Curriculum requirements. Successful completion of the first two years of professional school. Application for degree and receipt by the Registrar’s Office of an official transcript from the professional school.